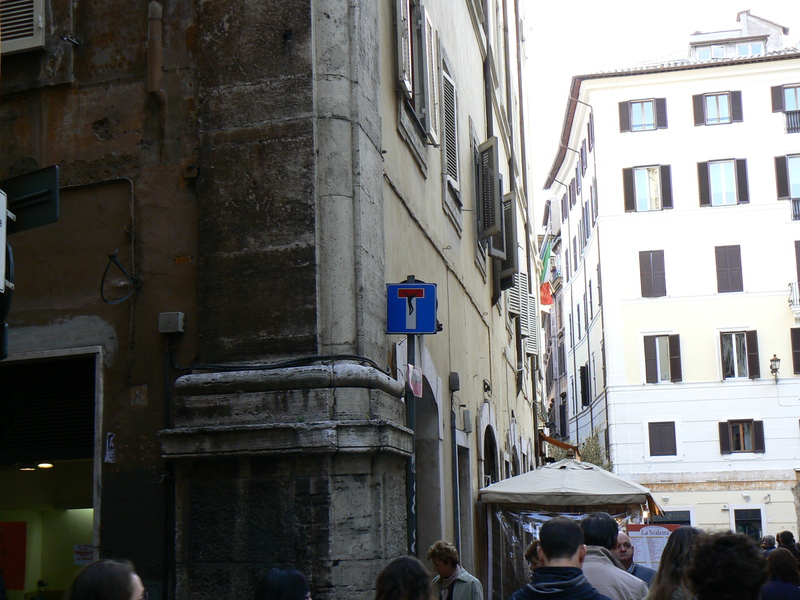 In Rome recently, I came across a dead end road sign that had been creatively altered to become a crucifix. I like these quirky graphics in the style of Clet Abraham, so I eagerly took a picture of it. I thought about the image and what it means to me. 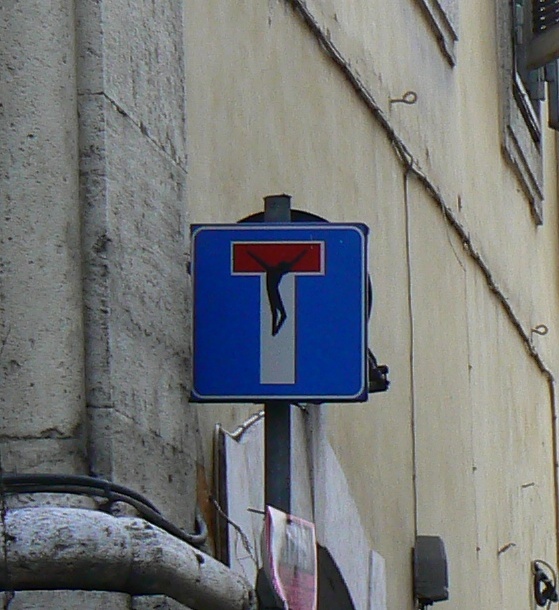 The juxtaposition of “dead end” with the crucifixion, being Jesus’ “dead end” came to mind. Jesus’ life ministry was lived with the cross in view. Early on in Luke’s Gospel, (Luke 9:51) we read about how Jesus determinedly set his sights on Jerusalem. Jerusalem was where he had to go to complete his mission. Jesus knew what had to be done. He knew that he was heading into a dangerous dead end, but he willingly went to Jerusalem and to the cross. In life there are ugly, dangerous things that we would never want to meet on a sunny day, let alone in a dark alley. Jesus looked all those things full in the face, and proceeded. Jesus saw all the evil that Satan could throw his way and went step-by-step towards the cross – his dead end. When he was eventually nailed to the cross, Luke records Jesus’ last words as “Father, into your hands I commit my spirit.” This is the dead end response – to commit my life into The Father’s care. John’s Gospel records Jesus’ last words as “it is finished.” Jesus has died. His physical life is over. Jesus faced all our sin and the ugliness we have made. He willingly took our sin upon himself and was executed – the only just way to deal with evil. He suffered and died, but thank God that the history does not end there! On the third day after his brutal death, Jesus came back to life! He was dead, and buried, but death could not keep him! That is what all the excitement of Easter is about! The evil in my life is, for me, a dead end, but Jesus walked into that blind alley for me, and dealt with what I could not handle on my own. Hebrews 4:14-16 Therefore, since we have a great high priest who has ascended into heaven, Jesus the Son of God, let us hold firmly to the faith we profess. For we do not have a high priest who is unable to empathize with our weaknesses, but we have one who has been tempted in every way, just as we are—yet he did not sin. Let us then approach God’s throne of grace with confidence, so that we may receive mercy and find grace to help us in our time of need.